Chinggis Khan in the office, originally uploaded by nobodaddy69. 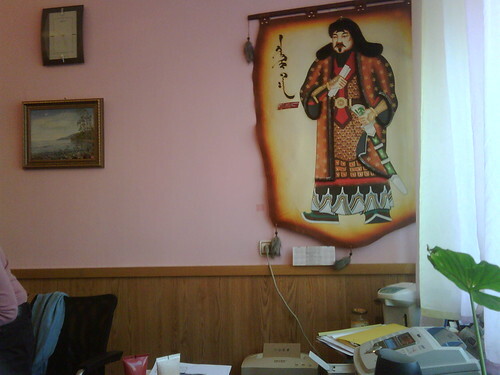 Rather than have heads of state (and ministers) as the bureaucratic iconography as in African States, Mongolian offices opt for images of Chinggis Khan, the founding father/warrior. Here we are in an office in the Ministry of Finance (taken with my blackberry).